Sat Nam Fest is a five-day immersion opportunity to experience the joy, rejuvenation and challenges of Kundalini Yoga in the sacred lands of Joshua Tree, CA. For those of us with busy schedules, the Weekender Pass allows you to join the festivities Friday through Sunday. There’s no better way to end the work week than by enjoying all the workshops, classes, concerts and yoga that Sat Nam fest offers! Kick off your weekend and Friday morning in total bliss with Wah as she leads Kundalini Dance: Release your Past. Next, join Karena Virginia and Dharm Khalsa in their Activating the Seed with Yoga Nidra workshop where you’re invited to access the most radiant truth of your being before grabbing lunch with your fellow yogis. Get creative and Make Your Own Mandala with Harnam, followed by a session with Tej on the Age of Aquarius. Can’t make it Friday till after work? No problem– you’re just in time for the Guru Ganesha Band and Ajeet Kaur concert. End the night with a crystal sound and meditation concert with Ashana. Early riser? Start your Saturday morning with sunrise yoga and Aquarian Sadhana chants. The day is full of uplifting activities to choose from. 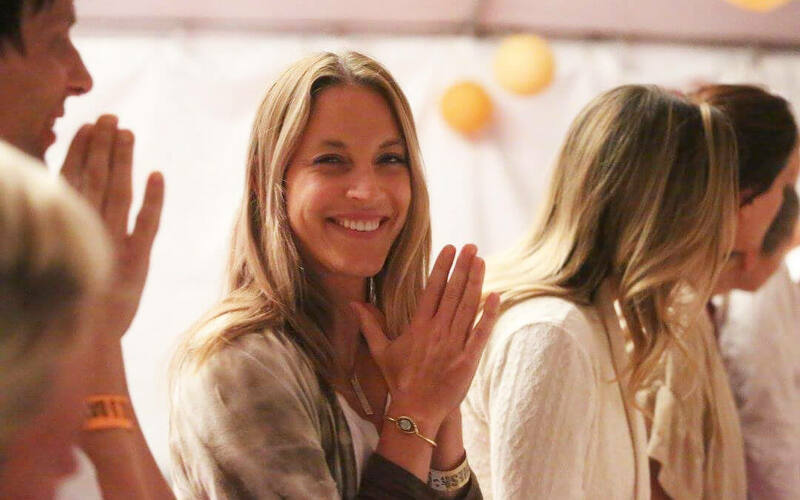 Be sure to check-out Siri Ved’s Yogic Diet Workshop where she’ll share her wealth of knowledge about the yogic diet, healing qualities of foods, and the Kundalini Yogi’s approach to preparing food– the perfect segway to connecting with your Kundalini community over lunch. Ashana will be leading Sivasana on Steroids and Guru Singh teaches Being Guided by Life Through Your Light Bodies, Live Music with Sukha. Round out the day with concerts with Jai-Jagdeesh and Mirabai Ceiba. Then the time has come to raise the roof and have some fun and let the music play on with All Night Gong (all night!) with Crown of Eternity. Sunday morning pick from three amazing yoga sessions: Dr. Ramdesh Kaur‘s The Body Temple: Radical Self Love for Radical Times, Dr Haridass Kaur’s Transforming Anger to Happiness, and Krishna Kaur’s class with live music from Aykanna. The weekend ends with an amazing Women’s Workshop, live music and Spiritual Warrior Training. Overall, the Sat Nam Fest weekend is jammed packed with amazing, blissful activities and presenters. The Weekender pass gives you access and the ability to design your own journey. How lucky are we that the biggest challenge of Sat Nam Fest is choosing which experiences we want to have?